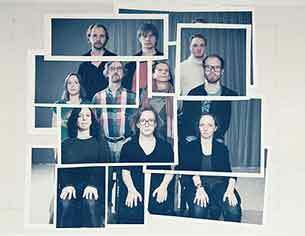 An artistic investigation of Öyvind Fahlström’s concrete theater play “Det hårda och det mjuka” from 1953. 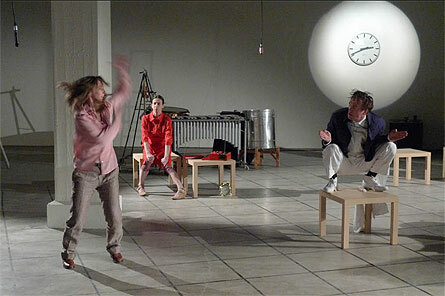 Produced by Alice Kollektiv and performed at Tensta konsthall and Unga Klara, May 2010, and at Dansens hus, Aug 2010. 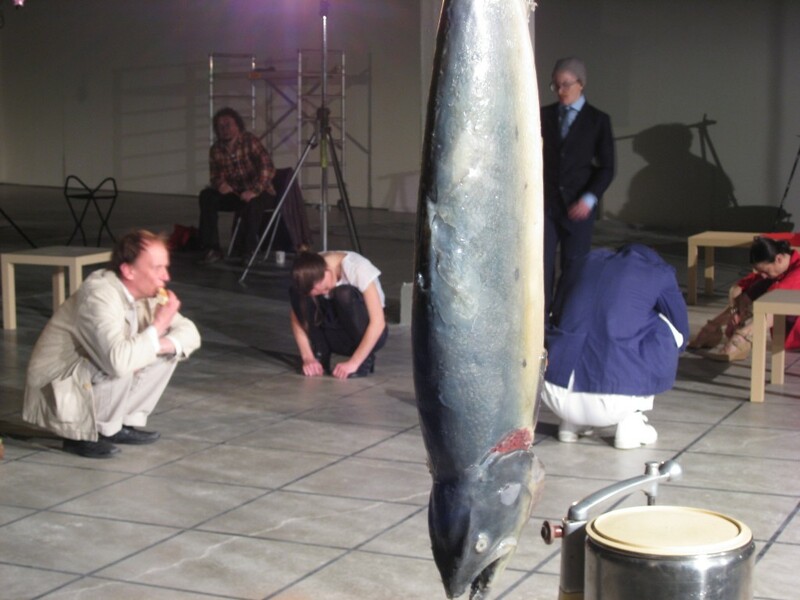 This is the very first staging of the play. 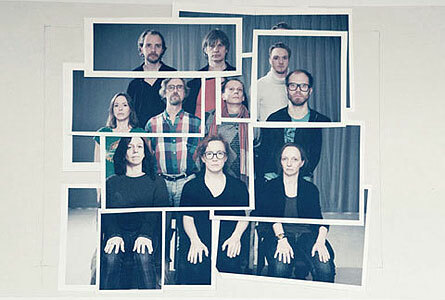 Behind the stage: Teddy Hultberg, Ivo Nilsson, Janna Holmstedt, Johan Petri, Karin Wegsjö, Alexis Benson, Filippa Hanzon, Maria Jennefelt, Malin Finlöf, Niklas Billström, Nathalie Ruiz, Tora von Platen, Anders ”Lillis” Lindholm. We are all subjects of systems. They govern us, socially, economically and biologically. They get our bodies to move and they frame the place where we show not only where we stand but also our morality. Which systems can we choose not to be part of? Which belittle us, and which help us to achieve balance? 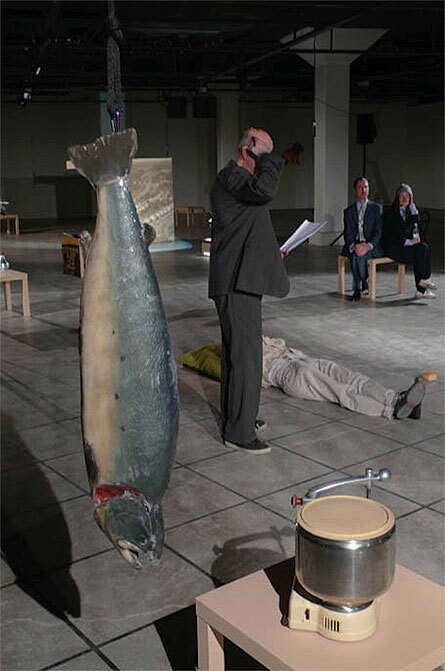 The Alice Collective For Sound and Stage Art in collaboration with Tensta Konsthall, Unga Klara Theatre and Dansens Hus present the very first staging of Öyvind Fahlström’s Det hårda och det mjuka – boord, konkret teaterstycke i två akter. 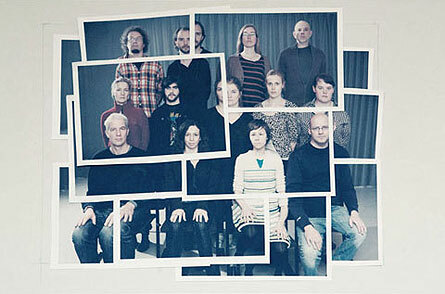 (The Hard and the Soft – “boord”, a concrete play in two acts.) 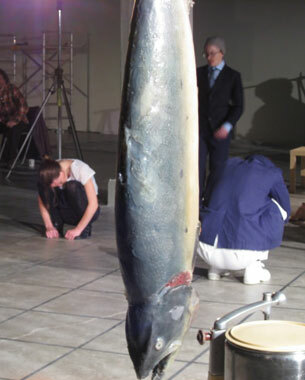 Different parts of the work will be presented publicly at Tensta Konsthall 8 och 9 May, Unga Klara 12 and 14 May and at Dansens Hus 27 and 28 August.